Where do you prefer to go when you travel – North or South? Hand auf Herz, wo fahrt ihr am liebsten hin – in den Norden oder in den Süden? We are in Norway which is not that different from the New England states in the US. John Irving lives and writes mostly in Vermont/New England (like our Master did), where he places this novel too. 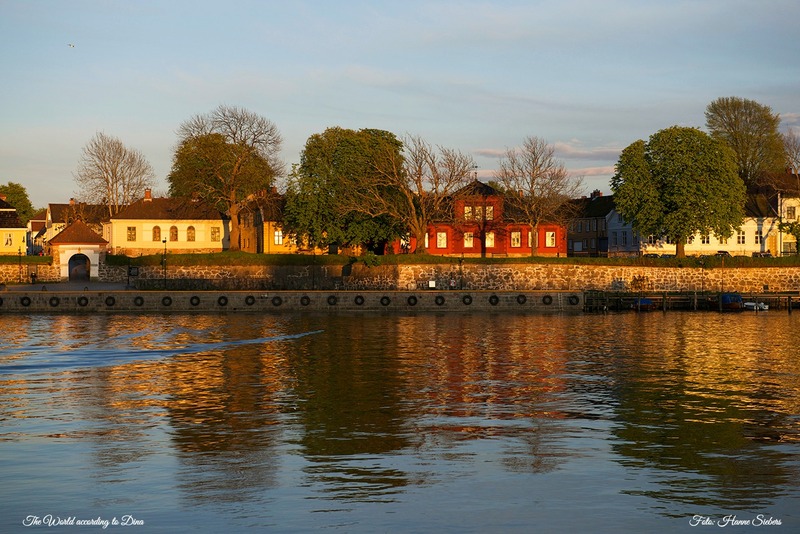 We are in Fredrikstad, our dear Dina’s and Roald Amundsen’s hometown. Quite far up north. From here we send you fresh frozen fairy dust, clear like the North. Do you feel this fine hint caressing your forehead? Wir sind in Norwegen, das teilweise den Neuenglandstaaten ähnelt, in denen Irving lebt und seine Geschichte ansiedelt. 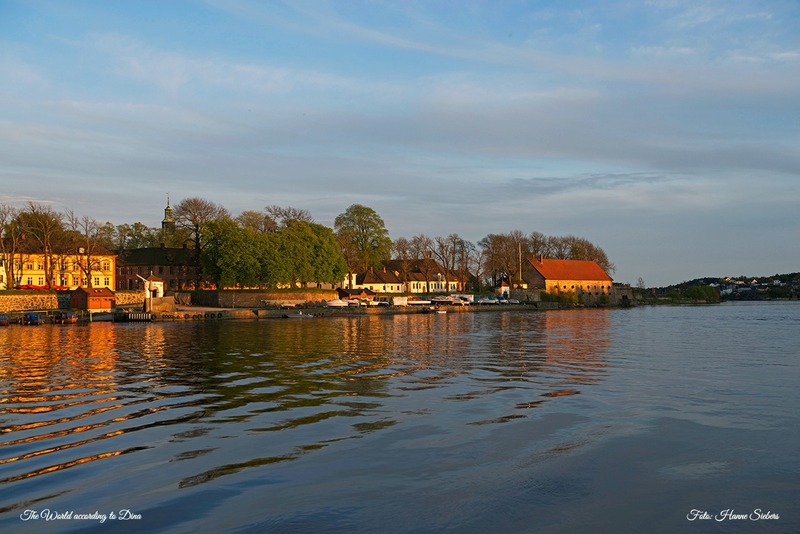 In Dinas und Roald Amundsen’s Heimatstadt Fredrikstad befinden wir uns. Schon ziemlich nördlich, findet ihr nicht auch? Von hier aus senden wir euch tiefgekühlten Feenstaub, frisch und klar wie der Norden. Spürt ihr ihn, diesen euch umschmeichelnden Lufthauch? Enjoy our Norwegian impressions whilst you listen to the Danish singer Tina Dico, a much appreciated gift from our blogger-friend Mickzwo. Stay cool! And do you know why we flew to Norway? Have a guess! Well, we delivered our congratulations for the Nobel Prize in medicine for the Norwegian couple Edvard und May-Britt Moser “for finding a kind of GPS in the brain”, as we Bookfayries understand their research. This “GPS” tells you that you are on the Bookfayrie-Blog right now. You recognise that you have been here before and it enables you to orientate yourself on our blog. Great, isn’t it?! And did you see May-Britts dress? It showed the connections of the brain cells in rats, her field of research. I, Selma Bookfayrie, admired her dress and want one like this as well – and then I try to get the Nobel Prize 🙂 “in Fairy Wisdom”, as Siri teases me. Das war unser vorweihnachtlicher, virtueller Kurzbesuch im Norden (Fredrikstad liegt etwa 800 km Luftlinie nördlich von Cley), “da es da zur Adventszeit dort sooo gemütlich ist”, wie Dina stets sagt. Selbst ohne Schnee. “Überall brennen Kerzen und überhaupt …” Aber wisst ihr, warum wir dort waren? Um mit den Norwegern die Verleihung des Nobelpreises für Medizin an Edvard und May-Britt Moser zu feiern. Wir mussten doch unsere Gratulation an das norwegische Forscherpaar von der lieben Dina und unserem Masterchen überbringen. Die Mosers fanden sozusagen unsere Navigationssystem, das GPS im Gehirn, das uns sagt, dass wir uns jetzt auf dem Buchfeen-Blog befinden, und das erkennt, dass wir bereits dort waren und dass wir uns auf diesem Blog orientieren können. This entry was posted in Norway and tagged Edvard and May-Britt Moser, Fredrikstad, Nobel Prize in medicine, Norway, The North. Bookmark the permalink. Ihr Lieben, Fredrikstad sieht zauberhaft aus, wirklich kein Schnee jetzt? Herzlichen Glückwunsch an das Ehepaar Moser. In der FAZ lasen wir über ihre Fortschritte in der Alzheimerforschung. Ein sehr sympathisches Paar! nee, kein Schnee – naja, kein Schnee, der länger liegen bleibt – in Fredrikstad. Hier in Cley ist es auch noch erstaunlich warm für die Jahreszeit, es ist eher frühlingshaft als herbstlich. Ja, dieses “GPS” im Gehirn ist wohl, was als erstes bei der Alzheimer Erkrankung ausfällt. Man verliert die Orientierung im Raum und findet im Supermarkt z.B. die Kasse nicht mehr. Der Duft von Plätzchen ist betörend, das finden wir auch. Nächste Woche, wenn die liebe Dina wieder hier ist, wandeln wir unsere Küche in die Christkindelbackstube um. Darauf freuen wir uns schon sehr. You should be the first to spot Santa Claus on his way south. Let us know when you see him. we will tell you for sure. the light makes a lot of the magic of the north. Not only that colours are clearer but as well that huge distances seem to be short, that you may see 4 suns and prisms in the sky and last not least the aurora borealis. we like John Irving’s novels and films. He writes always funny, droll, and very entertaining. Our favourites are “Widow for One Year” and “Until I find you”. Norway sounds nice but I would rather go south. Well, there are North-fans and South-fans. We like to go north because we don’t have a real winter here. We love the clear frost and the crisp snow. In Canada winter is a serious matter. One just longs to see the green of grass and flowers on the side. Have a great weekend you and the Fab Four of Cley. It’s interesting how hard, long and very cold and snowy the winters (still) are in your region, Leslie. In Fredrikstad it’s different. First of all, the climate is milder due to the Gulf stream, but we also see the results of global warming. When I grew up, we had app. 5 months of snow and winter and since then the ultimate best season of the year for me is springtime. Now we have tropic nights in summer and more rain than snow in winter. Hasn’t it changed at all in Canada? The weather has changed a lot here too. Last year we had the winter of all winters. It started in November and the snow accumulation was record setting. We had an ice storm around Christmas time last year and many were without power for almost a week. I lost a lot of rose bushes last winter. I love the long hot summers and all the flowers they bring. May your weekend be pleasant as well. Ice storm sounds horrifying! I’m so sorry about your roses. :-( Does that mean your winter is getting colder and snowier now? You seem to get more and more extreme weather conditions on the east coast, storms and heavy snow or rain, you name it. Recently I read that last year there were 11 weather disaster events with losses over $1 billion each. 2013 was the warmest year ever, but it looks like the winter is still very strong in you region? Wishing you Happy Holidays and a white Christmas without any disaster this year! The winters have been so unpredictable. Two years ago we hardly had any snow and my tulips were coming up in February. Last year the snow started in November and stayed until March. Last summer wasn’t as warm as it usually is. I planted some new roses and they seemed to prefer the cooler summer. There was lots of rain. I guess this is due to the ice melt and there must be some left to come. Thank for the Christmas wishes. Peter and I wish you and your lovely family the same. God bless. Great to hear Tina Dico again and lovely to see Fredrikstad and Gamlebyen in the golden light. I saw the Nobel Prize festivities in TV. Not only the Moser’s, I think also Modiano made a very nice appearnace on stage. And his theme goes very well with the GPS’ don’t you think? our Master loves Christstollen with marcipan as well. We just bought one yesterday in Cromer, and do you know where? At Lidl’s, they sell the best Marzipan-Stollen we can get in England. Have you read something of Modiano’s work? We haven’t yet. But we will soon be reading his “L’Herbe des nuits” (“Gräser der Nacht” in German). We wish you a very cosy Advent season. Will go home to Spitsbergen over Christmas? We all go home to Tromsø to celebrate a traditional Christmas. Our Christmases in Longyearbyen was always very special, I wouldn’t mind going back there. Have a great time, my dear friends! We haven’t read any of Modiano’s work yet. Beautifully clear and sharp photos Dina. I could feel my hand caressing the ripples on the still water, as the boat took me into harbour. I also like to travel North, unless I am in London, where I feel at home where I come from, South of the river! you are right, Tina Dico and Björk have something in common. It’s like the crime stories of the North, there is a certain nordic atmosphere that’s hard to describe. Sometimes it seems depressed, sometimes enigmatic. It’s hard to say what the “Northern thing” is. With lots of love from Cley. It’s sometimes cloudy, sometimes sunny with a little wind, 7 degrees C.
Lovely photos illuminated by clear, golden northern light. I enjoyed Tina Dico too, who was a new singer for me. I will try and think of some biscuit recipes, although Christmas for me usually means mince pies. All the best, Laurence. probably you can hardly imagine but we didn’t know about mince pies before we came to England. In Norway and Germany we have the tradition of Christmas sweets. First of all there is the Stollen (we mentioned above), a Christmas cake, and then there many different small biscuits like almond biskuits (“Spekulatius” in German) or the Pepperkaker in Norway – but no mince pies with their very special taste. Hi dear Laurence, I suppose you buy your mince pies? At one time I read something about more than 8 million mince pies being sold in England around Christmas. Funny name for a fruity tart cake, by the way. In Germany and Norway we have the tradition of homemade cookies, in Norway it has to be “seven sorts” like Hjerter mentions. Yes, I suppose you are right: ‘mince pie’ is a funny name. The filling is ‘mince meat’, which is actually dried fruit and spices – no meat unless you count lard, which some use. Technically it is a pie rather than a tart as it has a top. At least that is my definition of a pie – something that is fully enclosed in pastry. I don’t buy mine ready made but I do cheat quite a bit – jars of ready-made mince meat and frozen shortcrust pastry. I live up North and I prefer to travel south where it’s nice and warm and I get rid off some layers of clothes. But I don’t travel that much, I like it up North! I never heard of Tina Dico, but I enjoyed the music very much. Great sound! Mix butter, syrup and sugar in a pot. Heat until sugar is completely melted. Let is cool slightly and add cream. Sift in spices, baking powder and most of the flour. Stir until it forms a stiff dough. Leave in the fridge over night. Then need with rest of flour and roll out about 3mm thick. Use cookie cutters (or more traditionally, just a knife to make shapes). Place on baking sheet on oven tray and bake at 175°C until golden brown (about 10 mins). Cool cookies before decorating. this is because of the palindrome live….my apple sometimes changes the buchstaben…is he cleverer than me? I wonder! Norwegen …. seufz. Trotzdem ich mit sweet seventeen, in Trondheim war es, einen schmerzlichen Disput mit meinem damaligen Reisegefährten hatte. Mit dem Ende, dass sich far north unsere Reisewege trennten, und jeder für sich in unterschiedlichen Richtungen weitertrampte. Später, in Deutschland zurück, haben wir uns wieder vertragen und später, in Harmonie, weitere gemeinsame Reisen unternommen. Macht es euch gemütlich, Weihnachtsleckereien -und bäckereien inklusive. naja, zur Zeit sind wir hier in Cley nicht gut auf die Norweger zu sprechen, da sie die Betreiber der Windfarmen sind, die uns vor die Nase gesetzt wurden, so dass man sie bei gutem Wetter vom Strand aus sieht. Als die Windfarm gebaut wurde, lebten in Wells next the Sea (der nächst größere Küstenort von Cley) mehr Norweger als Engländer. Unser Masterchen war als Jugendlicher zum ersten Mal mit seinen Eltern bis Hammerfest gefahren. Da war er 16 und fand es höchst peinlich, mit seinen Eltern unterwegs zu sein. Aber dennoch hat ihn besonders die karge Landschaft des Nordens (Finnmark) so fasziniert, dass er, ehrlich gesagt, süchtig nach ihr wurde. Später arbeitete er dann u.a. fürs Goethe-Institut in finnisch Lappland im Winter. Nächste Woche kommt die liebe Dina, worauf wir schon sehr freuen, und dann machen wir es uns nur gemütlich so a la Plätzchen backen zum Drink bei Kerzenlicht oder Downton Abbey vorm Kamin sehen – alle Teile der Serie, of Course! How sweet of you two to take us on your virtual Norwegian tour – someplace I have always wanted to visit – I am only an average baker, so no recipe of mine could compete with the sweetness you bring to yours. Happy baking!! We like to bake. We bake our own bread and biscuits around Christmas. To bake Christmas biscuits in the Advent season has a long Scandinavian and German tradition. It’s part of the cosyness of the Christmas time. Hehe, gerne, mach den Schlitten fertig! Danke für all die guten Wünsche, die ich hiermit aus tiefstem Herzen reziprokiere! Og ha en flott helg. du bist auch mit von der Partie – super! Und mit dem Schlitten soll’s gen Nord gehen? Da sagen wir wohl am besten Erik dem Rentier Bescheid, dass es an der Fähre auf uns wartet, um dann den Schlitten zu ziehen. Danke für euren Hinweis, ihr vier. Ich habe mich eben durch die Hirnforschungsartikel gegoogelt und es war sehr interessant. Very nice! I enjoyed the music. In diesen Wochen läuft der Backofen bei uns auf Hochtouren. Unser Favorit dieses Jahr: Vanillekipferl. Alles mischen, 30 Minuten im Kühlschrank kühlen, dann Kipferl formen und bei 175 Grad 15 Minuten backen. Anschließend in einer Mischung aus Puderzucker und Vanillezucker wälzen. du bist ein Schatz 🙂 Habe gaaaanz herzlichen Dank für dein Vanillekipferl-Rezept 🙂 Da werden wir gleich unsere Feenschürzchen umbinden und losmachen, da wir zum Glück alles im Haus haben. Ooooh, das ist super, darauf freue ich mich total! 🙂 Vielen Dank für’s teilen, liebe Peggy! Was isst der kleine Entdecker denn am liebsten? Die Vorlieben ändern sich doch bestimmt mit den Jahren, oder? Macht ihr auch mince pie? Greetings, I like going North in the summer…this winter we are going south, south, south – to Africa and sunshine. Enjoy the snow!. how different people and fairies are! We like going North in the winter because at our coast we lack a real winter with lots of snow and ice. And we love winter: clear outside, cosy inside. But we have to admit in summer we tend to go north as well. In the real North there is always sunshine in the summer, day and night. This sounds very intriguing, Joan. Where about in Africa are you going? We look forward to your travel reports. It sounds quite exciting! I looked it up on the map, just to have a closer look … I’ll have to admit I find it difficult to place all the countries I don’t know on a map and when our fellow bloggers travel, I find it quite educating. 😉 Zimbabwe means “stonehouses”, do people mainly live in houses of stone there? The country has many beautiful places to visit. Hope your Christmas and New Year are festive and happy. Thank you so much for this information and the helpful link, Joan, I appreciate it. It looks like a very interesting. Granite is a unique stone, in colour and beauty. It’s in fact the national stone of Norway! 🙂 There’s lot of granite especially here around Fredrikstad; Østfoldgranitten. Monolitten in the Vigelandspark in Oslo is made of Östfoldgranitt and also the Norwegian Embasssy in Berlin has a unique 15 meter wall of Östfoldgranitt in the front of the building. Nice to see you here in your new outfit! 🙂 Have a wonderful pre-Christmas time. Thank-you, m’dear ! – and the same to you ! Hmmm, they got their Nobel Prize in medicine in Stockholm, Sweden! And, they live in my town Trondheim and their University is NTNU. well, a big secret, don’t tell anyone, but we Fairies Siri and Selma can be at many places at the same time. That’s fairyish. Good, isn’t it?! Actually we plan a journey up the Norwegian coast and we will visit Trondheim of course. Our beloved Master has been to Trondheim when he was a yound lad. Da fällt mir gerade ein, dass ich dieses Jahr zum ersten mal Plätzchen gebacken habe, die wie Feen aussehen, eigentlich wahrscheinlich Engelchen, aber es sind bestimmt Feen…..schicke eine Kostprobe nach Cley, o.k.? Habt ihr den Film über Irving gesehen, wie er so lebt und schreibt auf seiner Insel, ganz toll! ..mein Hirn hat gerade Schnupfen und dröhnt etwas, bestimmt hopsen da wieder viele Synapsen, feiern die schon?! Vielleicht bin ich morgen mal faul! Könnte man die Stirn ans Laptop halten und den kühlen Nordwind genießen…. ja, danke!, den Filme über Irving haben wir gesehen. Wir sind nämlich Irving Fans und haben, so glauben wir, fast alles von ihm gelesen. Seine Bücher schaffen immer gute Laune wegen des leichten, witzigen Stils. Gehe jetzt einkaufen, neue Zutaten, es wollen noch Runde gebacken werden, sie bekommen ein Feentopping mit Zitrone und kleinen grünen Pistazienbröckelchen…Nüsse im Teig, Rezept gibt es leider nicht, es wird spontan rein nach Gefühl gebacken…nicht reproduzierbar, schade! .meine russische Vertretung ist in Samarkand geboren, hat in Kairo, Moskau, Leipzig und dann – Kaiserslautern(???) getanzt. Das macht mich schon bissel mit den Nerven fertig…. Schicke genug für Siri und Selma, den kleinen süßen Fresserchen, wenn ihr wüsstet, dass sie dauernd heimlich fortflattern und schon mal vorkosten…! Würde gerne noch ein Buch beilegen, mein Lieblings-Schamane hat eines geschrieben, Michael, Codename Dr. Spock…über Afrika. So, das war es von mir, leider, unser Besuch aus Harare kommt nun doch nicht nochmals zu uns, das Schnawwel-Jugentheater hat kein Geld, schade! Herzlichste Grüße , und morgen zünden wir das 3. Lichtlein an, die Zeit verfliegt…. Guten Morgen, liebe Pia, jetzt brennen drei Kerzen, aiai bin ich früh auf … 😉 Ich hoffe, dir geht’s besser? Welch ein Zufall, 2x Zimbabwe hintereinander. Gerade habe ich Joan Frankham geantwortet (s.o. ), sie fährt nach Z. zu ihrer Tochter und du hast auch Bekannte in Harare. Ich kann mir gut vorstellen, dass unsere 2 süße Nachkatzen häufiger bei dir einfliegen. Die Eisdiele gegenüber lieben sie und dich Pia auch, heiß und innig, wie sie sagen. Einen schönen 3.Advent für euch alle! Jetzt wird mir klar warum dieses Jahr die Eisdielen, es sind jetzt 2, Adria und Venezia, auch im Winter nicht schließen…..
Umarmung und einen wunderschönen Sonntag euch! ….der Kinderschutzbund hat angerufen, ich soll Werbung für ein Buch machen, das im Religionsunterricht verwendet wird, da muss ich noch mal in mich gehen, was meint ihr liebe Feen?! Liebe Dina, manchmal sind die englischen Wiki-Seiten besser….einmal habe ich den Fernseher eingeschaltet und es kam auf allen Kanälen gleichzeitig Werbung für Katzenfutter, dachte noch, wie seltsam…..äußerst mysteriös und ich habe gar keine Katze! The Fourth Hand is quite funny to start with, isn’t? Especially in the earlier chapters, but then I think it ends up growing out of its original intentions and by the end, you’re not reading a comedy. It’s not a sad book, but it is bittersweet in a way that will be familiar to John Irving fans. It’s not my favourite book by this great autor. I have read them all! 🙂 Which is your favourite, Siri and Selma? in quite a lot of Irving’s novels the plot is bittersweet, we agree, but it’s always told in a funny way, isn’t it? Our 2 favourits are “A Widow for One Year” and “Until I Find You”. In “Until I Find You” we love the combination of tatooing and organ music. We learned a lot about tatooing by this novel and even our Master contemplated having a tattoo after he read this novel. Do you know the film “A Door in the Floor”. It’s an episode from “A Widow for One Year”. We like the film and the growing up girl. Irving cleverly decided not to have his whole novel filmed but only one episode of it. We are still celebrating the Nobel Prize Winners in Stockholm, it was a grand ceremony yesterday! 🙂 Congratulations, Edvard and May-Britt Moser to your excellent work! I think the Fourth Hand is a really enjoyable and quick novel, despite all the lukewarm reviews it got. Most of Irving’s novels are not really seen as “high literature”. They are too entertaining and too much designed for beeing filmed. And last not least the style of storytelling is old fashioned. Nevertheless we like them and actually started reading Irving with “Garp” at the end of the seventies. Sending wonderful wishes for your holiday season. we didn’t know that you are living up north. Shall we envy you? Fredrikstad I know well. I have good friends there and my son lived there for a time. I see gamlebyen in the photos. One of my fav places and the reasons i paint rosemaling. I met my rosemaling teacher there. You have connections to Dina’s hometown 🙂 What a coincidence! You are right, Dina has taken these photographs in Gamlebyen. I am away atm on holidays so I will share a recipe with you when I get back. meinen herzlichen Dank, dass ihr uns wieder einmal in den wunderschönen Norden mitgenommen habt, für die feinen Bilder, für das Gefühl, das einst Weihnachten in Bullerbü bei mir auslöste. ich muss es ja eigentlich nicht sagen, ihr wisst es schon längst, mein Lieblingsreisziel ist und bleibt der Norden und ich plane eine Reise 2016 … dann werde ich 60 und ich mache mir ein besonderes Geschenk … mehr dazu, wenn die Zeit dafür reif ist. liegt bei dir wieder Schnee? Hier ist’s sonnig und es weht eine steife Brise bei 8 Grad C.
Zu dem runden Geburtstag vom Masterchen im übernächsten Jahr planen wir auch eine große Nord-Reise hoch die norwegische Küste, von dort Kurs Island und dann bis NW Grönland, Disco-Bucht etc. Wir haben dafür schon zu sparen begonnen. Huch, auf Pakete warten wir noch – noch keins gekommen, oh dear … Aber Mister Postman war auch noch nicht da. Ganz, ganz herzlichen Dank für dieses tolle Rezept, Ulli! Ich liebe Brownies und werde es nachbacken, ganz gewiss! 🙂 Werde berichten. Jetzt packe ich und das Rezept liegt bereits im Koffer. wunderschöne Bilder ! Irgendwann werde ich sicher Norwegen auch bereisen. Mich zieht es immer in den Norden im Urlaub, höchstens in der kälteren Jahreszeit mal gen Süden. Aber eigentlich bin ich ein Nordlicht, zwar nicht vom Geburtsort her, aber gefühlsmässig. Plätzchen backe ich auch, zusammen mit den Töchtern und den Enkelinnen. Und natürlich einen Christstollen, nach dem Rezept meiner Dresdner Oma. Liebe Grüsse in den Norden und eine besinnliche Adventszeit ! das imponiert uns, du bakst einen echten Dresdner Christstollen. Wir sind nämlich Stollen-Fans (bes. Siri und Selma) und den besten Stollen, den wir bei uns in England bekommen können, ist jener von Lidl. Ja, der deutsche Lidl hat in der Bezirkshauptstadt Cromer eine beliebte Filiale, bei der wir uns mit deutschen Lebensmitteln eindecken. Aber so etwas Edles, wie einen echten Dresdner Christstollen findet man dort natürlich nicht. Unser Masterchen ist auch kein Nordlicht von Geburt. Er ist Rheinländer aus der Kölner Gegend. Aber er ist teilweise in Schweden aufgewachsen. Seine erste Arbeit brachte ihn nach Finnland und so wuchs seine enge Verbindung zum Norden. Sein Vater war übrigens ein großer Nordlandfan, der bereits zu Beginn der sechziger Jahre seine Familie ins Auto packte und bis kurz vor Hammerfest fuhr. Das hört sich ja urgemütlich bei dir an. Wir wünschen dir weiterhin fröhliches Plätzchenbacken mit der Meschpoke. hallo Dina, das Stollen backen ist überhaupt nicht schwer, das schafft ihr leicht. Er sollte nach dem Backen nur 6 Wochen liegen vor dem Anschneiden. Dann ist er besser. Deswegen mache ich ihn immer 6 Wochen vor dem 1. Advent. Teile das Rezept gerne mit euch ! Machst du den auch bisweilen mit Marzipan oder Mohn oder Ist ein Christstollen immer ohne? Mache ihn immer ohne Marzipan und Mohn, eben so wie ich das Rezept übernommen habe. Das ist der “echte” Dresdner Stollen. Es gibt in Dresden auch den Mohnstollen, aber der ist trockener..nicht so mein Geschmack. Wünsche auch euch einen schönen dritten Advent ! nichts zu danken liebe Dina ! Habe ich gerne gemacht ! Siri and Selma sound quite wound up and excited! It must be the season and the cool, refreshing air of the north! oh dear, yes they are. There are so many secrets about Christmas pressies! And they are very busy themselves with the presents for us – and we are excited too! I love the quality of light in your pictures but the air feels so cold. Maybe the brain has a heat regulator as well as GPS so I can think myself warm while traveling in the north? Is this something your fairies can arrange for Christmas? you can think yourself warm and your body gets adopted to lower temperatures. Actually our dear Master is a wimp, but after 3 weeks of travelling in very low temperatures (minus 30 C and below) we spotted him sun bathing in T-shirt and shorts on our ship off the coast of Greenland. We had 8 degrees C in the sun! Dieses Licht ist unglaublich schön. Danke, lieber Mick.Ja, das Licht ist schön und zu jeder Jahreszeit immer wieder anders. das scheint ein typisch nördliches Licht zu sein, das hier in Nord Norfolk auch oft die Landsschaft verzaubert. Von Schleswig-Holstein kenne ich dieses Licht ebenso. Es hat eine Art warmen feinen Braunton. Aber das gibt es hier nur im Herbst und Winter – wie Dina schreibt, jede Jahreszeit schenkt uns ein anderes Licht. you are very welcome 🙂 And we thank you for your inspiring blogs as well. Beautiful lighting in your photos ~ very rich hues, and like you said there is this resemblance to the NE of the USA…and also mention one of my favorite authors John Irving 🙂 There is something special about the north…I never know why I get so excited when heading up when sun, sands and bikinis are all in the opposite direction. Cheers to a great week! that’s the question: What’s makes the North so special? – But only for a special group of people. On one hand it’s the grand nature, on the other that it is not as touristy as the South. But there is a special atmosphere, this northern flair … hard to catch, but clear to feel. As we wrote before we love John Irving as well. And even if his novels quite often are bitter-sweet they are always a funny and easy read. diese Abendstimmungen sind einfach ganz wundervoll. Man meint wirklich, die Feen haben die Stadt mit einem Goldhauch überzogen. bei euch ist es ja wieder warm geworden mit 18°c tagsüber! Im Rheinland regnet es und es regnet und regnet immer weiter fort bei etwa 5°. Endlich habe ich Winterreifen aufziehen lassen, irgendwann wird’s wohl winterlich. Euch einen gemütlichen 3. Adventssonntag! Arbeitest du noch an der Garage? The way the sun bounces from the stone wall into the lake…..perfection. Thank you very much for this lovely comment, Laurie! Have a wonderful, cozy Sunday with your great family. It’s so nice and cheerful to see your Little Man grow up. From us in Cley the best wishes for a lovely holiday season and lots of love and thanks for visiting. I wanted to wish you and your family a very Happy Holidays. I won’t be back for a couple of weeks. I love both north and south and anything in between – and I like switching between them. But, yes. 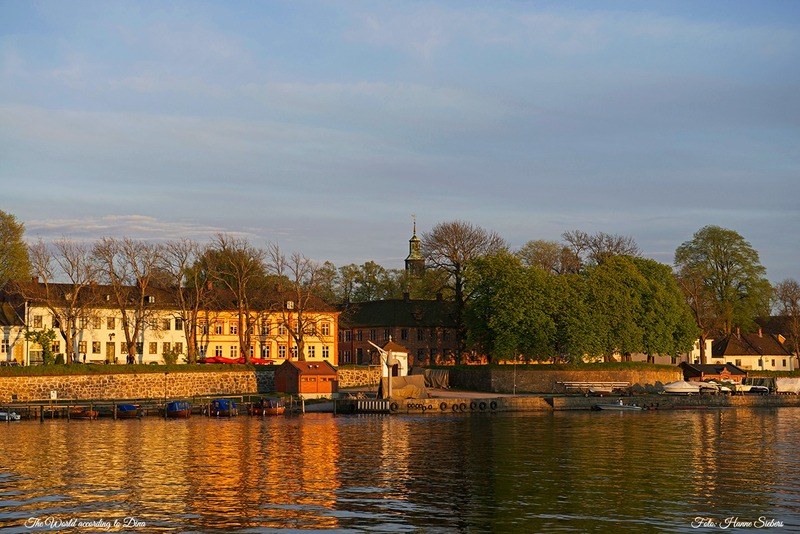 Fredrikstad is a beautiful place, particularly the old city. Enjoy the photos thoroughly. Enjoy the last week of advent, all of you. We wish you a cosy and happy holidays season as well. hier weiß das Wetter noch nicht so recht, was es will. Die Vorhersage ist: bedeckt, Regen [sogar Gewitter] möglich, aber manchmal auch heiter, und so etwa 18 bis 20 Grad. Wenn ich nach draußen schaue: es ist wolkig, aber ganz gelegentlich bemüht sich die Sonne durchzukommen. Es will bei dieser Wetterlage allerdings noch nicht die richtige Weihnachtsstimmung aufkommen. Mal sehen, wie’s wird, wenn wir nachher den Weihnachtsbaum [unseren zweiten, für drinnen; den lebenden für draußen haben wir schon, und auch geschmückt] aufstellen. Was die Garage angeht: wir lassen bauen. Aber wie Du ja im Blog gesehen/gelesen hast: viel ist nicht mehr zu tun. Wenn die Türbeschlaege in der nächsten Woche kommen [hoffentlich], kann das ganze Projekt noch vor Weihnachten abgeschlossen werden. Bis auf die Einrichtung meines/unseres “Bastelraums”. Das wird noch ein wenig länger dauern, da meine Unterschränke wohl etwas länger brauchen, bis sie hier sind, und Mary sich noch gar nicht entschlossen hat, was sie haben möchte. Hier 🌊🌊🌊🌊 war es gestern plötzlich weihnachtlich. Siri und Selma waren ganz aufgeregt, als alles weiß gereift war und glitzerte, als sie aus ihren Kuschelbettchen herauskrabbelten. Aber heute ist es leider wieder warm. Die 🌞 scheint und wir haben 9 Grad C.
Deine Garage ist ja ein Luxusteil, eher ein kleines 🏡 Häuschen. Da Mitte der Woche Dina 💃 kommt, hauen wir jetzt ab zum Bude putzen. Great photo’s.Seems like the put the fire on in the sun. Looks a lovely place. It’s becoming imperative that we visit Norway – I haven’t been since I was 10…! Norway is worth a journey. I have been quite often up there when I was a child and a student but unfortunately never since I was in my twenties. We plan a journey up and down the coast when Dina arrives here in two days. She going to Norway at least twice every year. Are you going with Hurtigruten? That’s what we would really like to do… a medium-term ambition!! we decided against Hurtigruten. First of all we would like to go in a smaller ship and longer as their journeys lasts, we thought of 3 weeks at least. We are interested in a journey up the coast of Norway, Iceland and West Greenland (Disco Bay) and if Jan Mayen is included we wouldn’t object. There is such a journey next year from Hamburg/Germany, but this is booked already. We will see what 2016 will offer. To sail the NE Passage is another dream of ours. We always wanted to see Wrangel Island. If up North from here looked like that I would be headed North more often! So beautiful! Dina will arrive here in two days and then we will celebrate a cosy Scandinavian holiday season with baking, open fires, many candles and of course a Christmas tree. But now Siri, Selma and me are busy cleaning the house, washing the linnen and prepare the firewood. The northern lights are great. The best chance to see them you have around Tromsö/Norway, where the international research institute for auro borealis is situated. I have never been in this beautful town, but now I want to go there! Wonderful photos – great light. 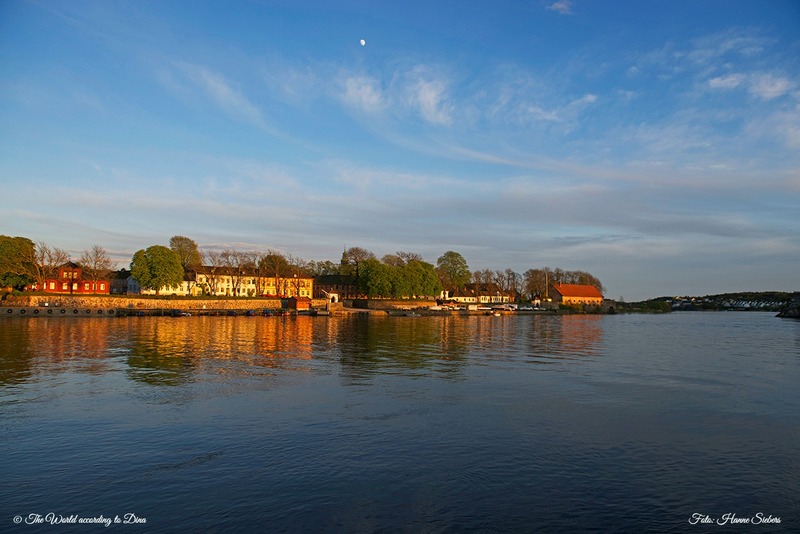 The way the sunlight falls over Fredrikstad is indeed magical! It certainly makes us want to go travel north. Ob mit diesem oder ohne dieses Rezept wünsche ich Euch ganz viel Spaß in Eurer Backstube und natürlich ganz wundervolle gemütliche Weihnachtstage. habe ganz, ganz herzlichen Dank für deinen lieben Kommentar. It doesn’t matter if you journey north or south, if you travel far enough, you will end up in the same place. 🙂 Joyous Jul to the Fabs. habe herzlichen Dank für deine guten Wünsche 🙂 Unsere Wünsche posten wir gleich noch, aber jetzt muss erst einmal das Lammbein in den Ofen geschoben werden. Mach dir eine höchst gemütliche Weihnachtszeit. Ihre Lieben in Cley, Das Hilfeangebot und die Instruktionen haben mich sehr gefreut und ich glaube auch, das ich das mit den Sprachen und Emojis besser verstehe. Leider hat mein Mann, der Liebe, sie mir aber versehentlich von der Tastatur gelöscht. Ich werde nun versuchen mein Möglichstes tun, um sie wieder hinzukriegen. Hey Micki! Coole Musik von Tina Dico! Einfach toll! Manchmal bin ich blind! Habe ich gerade erst entdeckt! Muss jetzt in die Handball-Halle, Jonas Krückenmannschaft hat doch tatsächlich das Finalfour erreicht….mit Tinas Musik in den Ohren fällt es mir leichter in diese Welt einzutauchen…. The light looks so warm and welcoming. Yes, the light is really warm and welcoming, well, we think the North is in general welcoming, buzt that changes if you go further north. Madhu, you’re too kind! 🙂 Thank you so much. Wishing you a wonderful Holiday Season! Merry Christmas ( God Jul) to you all. Amanda, you’re so sweet! 🙂 Thank you for the great recipes. Now we are all ready to celebrate Christmas. Merry Christmas dear Dinna. These photos are spectacular in colour and sharpness, with breathtaking sights! My best to Klausbernd and fairies too! Merry Christmas to you dear, Paula! oh dear, they are all eaten now! What a pity! As lovely as ever…God Fortsättning! Your “North” does remind me of New England, so I think I would feel right at home there, as it’s an area of our country that I love. North, South, hot or cold, I’m pretty much game for an adventure. Thank you for all of the warm holiday wishes, and the same to the Fab Four. Take care, and happy 2015!! actually New England, especially Vermont and Maine, is a place our Master likes very much. He lived half and half there and in Montreal for quite a while – but long, long ago. Later we travelled with him to Maine and we also felt immediately at home. Wunderschön! Mich hat es schon immer mehr in den Norden gezogen als in den Süden (auch wenn ich den Süden inzwischen auch ganz gerne mag) – Norwegen fehlt mir aber noch! Also zieht es mich definitiv in den Norden. Oh Gott, ist das hübsch! I LOVE that place, Gamlebyen! So much to remember, I was there for a year before going to university, and what a school it was, folkehøyskolen! thanks a lot for commenting. You know Gamlebyen also and love it, GREAT! Dina knows the folkehøyskolen as well – well, I suppose you know this too.